Whether you need a video to promote your business, train staff, or recruit talent, the needs of your project determines the overall video production cost. Understanding how to price video production services starts with the message you want to convey. The best return on investment (ROI) occurs when expectations meet resources eye-to-eye. Epic Productions stands out from the rest by demonstrating consistency and creativity throughout our diverse portfolio. Each video not only shows the exceptional quality, but the abundance of resources provided. The goal is to exceed the expectations set by our clients every single project. Our experience ensures that every project will be accurately quoted, delivered on time, and at the highest quality for our clients. Having a script ready when pricing out the cost of video production is a solid start. Inaccurate pricing can start a snowball effect that creates more issues and costs than you thought. The lowest video production quote does not always deliver the highest return on investment. Epic knows how to price video production services correctly. Everything is done in-house, so there are no third-party markups. We take pride in owning top notch equipment and using post-production software that is not only relevant but known as prestigious in our industry. By having these resources at our fingertips, we are able to hit the ground running. Variables that contribute to the overall video production costs include location, creative and talent. The location you choose to film your video at can have a large effect on the video production cost, but can also greatly improve the overall look and feel of your video. Do you want to be beachside off the coast of California? Are you indoors at a modern office space or outdoors up north in the woods? Do you need a green screen or a studio? Do you envision multiple locations in your online web video? We assist our clients with finding what location will best fit their needs for the project. Depending on where it is you want to shoot your video, there are many things that come into play. These variables include costs for studios, permits for filming, travel costs for the cast and crew, and many more. That’s the beauty of working with a full-service film studio, all of those elements are organized and taken care of for you. So how much does video production cost? Well, let’s touch base on those variables that can effect the cost for video production. What creative elements will you need to complete your video? Some of these elements that can change video production cost in post-production include special effects, animation, motion graphics, editing and music. These details are determined through our Pre-Production process. We help clients determine if the project requires extensive scriptwriting, storyboarding, logo design and branding. What about any special equipment to capture your vision such as drone footage or 360 video production? Perhaps the best way to promote your business or product is an animated explainer video. In this case, the length of time of the finished video would determine the final video production cost. Whether you’re thinking of having a lead spokesperson as the center of your video or having extras to be in the background, experienced talent will only improve the quality of your video production. If you’ve chosen to stick with motion graphics, then talent isn’t necessary but you will need voice-over. Casting talent is an entirely different challenge, and one Epic is experienced in handling. There are many aspects to consider. Is the talent you choose represented? If so, additional union costs may apply. Where you plan on placing this video and how long you plan on using it for can also change the video production costs. A full buy-out might be needed if you plan on running with that creative for more than a year. Of course, finding a video production agency that can help with finding and managing talent will ensure an easy process. It’s important to remember that you get what you pay for. 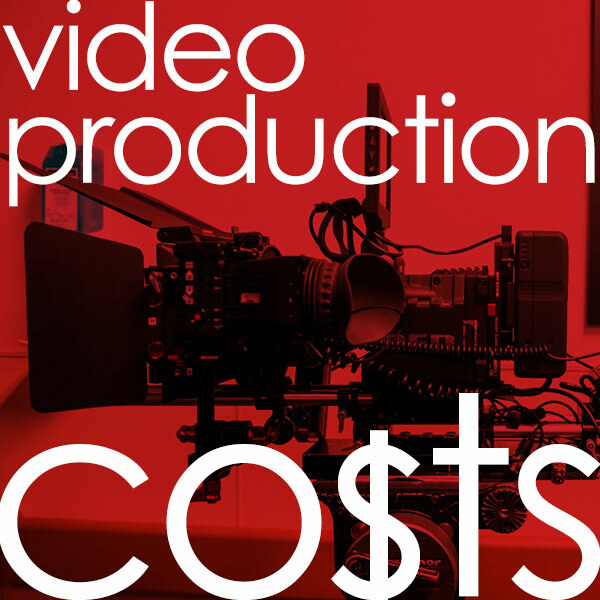 The video production cost breakdown is not one size fits all, rather, more a la carte. The more footage you capture, the more content can be placed throughout different platforms. Placing various lengths of video content keeps attracting diverse audiences. Whether you are looking for a TV commercial, marketing videos, social media videos, corporate videos or even animated videos, having a full-service video production agency to take care of those moving parts is key. In addition, a video production company ensures that all of your content is consistent in quality and style. From project management and pre-production to being on-site filming and completing post-production tasks, working with a team you trust to deliver a smooth video production process will make you feel more at ease. We work closely with our clients to make sure expectations are met through effective communication, right down to the finer details. This relationship is first established with an accurate quote. Each video production cost is itemized. Exceeding expectations and making the most of our talent, experience and resources is why our clients come back to us time and time again. It’s also why Epic continues to be one of the top production companies in Phoenix.